Retirement savers as recently as 20 years ago could rely on a pension plan, Social Security and a healthy return from a portfolio of equities and fixed income to retire comfortably. But what worked in the past won’t necessarily work today. 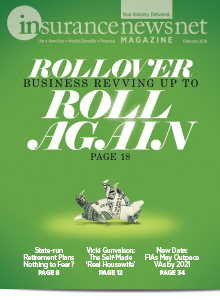 Today, traditional income approaches such as the 4 percent withdrawal rule for sustainable income may not work in the face of low interest rates and unpredictable equity markets. Retirement savers face living longer, the uncertainty of Social Security and market returns, and less access to traditional pensions. As a result, savers are forced into taking on more risk to generate the income needed to maintain their retirement lifestyles. Reality is setting in. Because of increasing life spans, today’s savers face the possibility of a much longer retirement with less income. Advisors must turn to guaranteed lifetime income solutions that are vital for helping consumers achieve their retirement objectives. Many Americans envision retirement as an opportunity to pursue personal interests, spend more time with family and friends, and enjoy the fruits of their many years of labor. However, with the life expectancy of the average American nearing the 80s, retirees are faced with the possibility of outliving their savings. And as science and medical care continue to improve, that concern quickly can turn into a reality. Lincoln Financial Group and Hanover Research conducted a 2016 study on longevity titled “The Longevity Opportunity: Planning for Longer Lives as a Family.” According to this research, 48 percent of Americans believe it is likely they could run out of retirement savings, and about a third believe they will outlive their savings. Yet there is a tremendous gap between these concerns and consumers’ actions to prevent them. Although 71 percent of advisors recommend that consumers plan for more than 25 years of retirement, only 27 percent of Americans expect to save enough money to support themselves for this amount of time. If Americans are going to live additional, more productive and fulfilling years in retirement, they need to have a long-term financial plan — one that guarantees income and helps ensure a comfortable and secure future. Although many consumers understand the importance of saving for retirement, they often avoid initiating a conversation with advisors about the best ways to save and find income once they stop working. 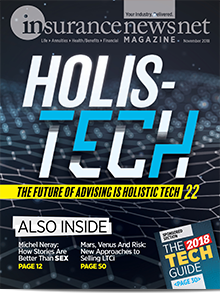 Advisors must start the dialogue with clients about longevity to help them overcome their planning inertia and prepare for a long and secure financial future. Education about guaranteed lifetime income that annuities can provide plays a critical role in longevity planning. These products provide savers with guaranteed income they cannot outlive and cannot find in other investment products, making proactive conversations between advisors and clients all the more important. Here are some highlights from our research about the realities of longevity and guaranteed lifetime income solutions that help solve for the risks — and opportunities — of living longer. 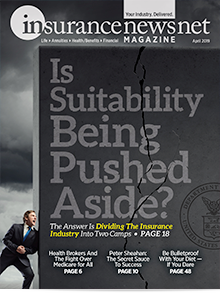 » 49 percent of consumers are not aware of the potential impact of longevity risk. Despite the growing dialogue about longevity, Americans underestimate its impact. Without sufficient funds, many will not be able to maintain their standard of living throughout a prolonged retirement. This could result in the need to downsize living arrangements, spending less time enjoying social gatherings with family and friends, or sacrificing savings intended for family heirs or charities. By developing a retirement plan that incorporates a guaranteed income component, Americans can ease the financial impact of a long retirement and make that retirement a more satisfying time. 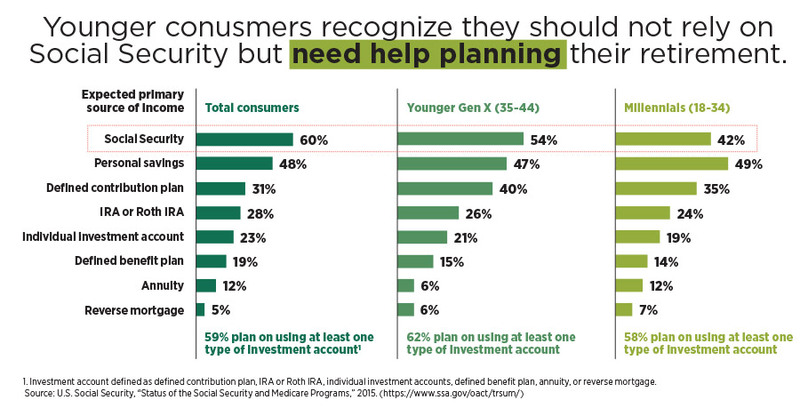 » 48 percent of consumers acknowledge they do not have enough saved for retirement. For those who lack sufficient savings for retirement, having an open dialogue with a financial advisor — and starting that conversation today — is critical. Financial advisors can explain a number of innovative and flexible solutions, including guaranteed income options such as annuities that can help savers plan for expected and unexpected expenses in retirement. 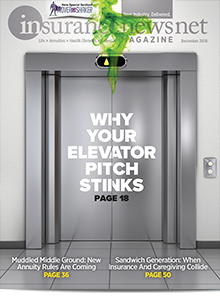 » 45 percent of consumers do not want to envision themselves as elderly, and 32 percent are not comfortable discussing health or personal matters. 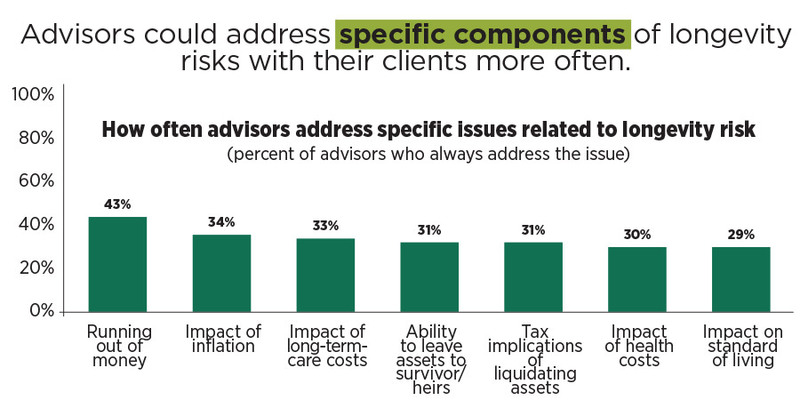 Discussing the future with an advisor can be challenging for many consumers. But unexpected major expenses can offset savings and derail financial plans. Because of this, it is critical for consumers and their advisors to explore options to protect assets and guarantee income. This could have a lasting effect not just on retirees but on their loved ones as well. It’s not unusual for families to help care for aging relatives in retirement. But frequently, financial support for these relatives is not feasible. Our 2015 Cost of Care survey showed that an unplanned care event in retirement may result in a retiree having to spend their savings two to three times more quickly than they originally had planned. Retirement should be filled with optimism and enjoyment. But Americans can achieve a secure retirement only by planning ahead today. 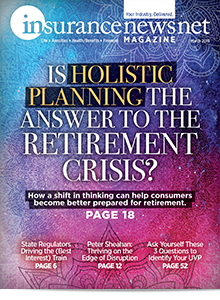 Consumers’ frequent hesitation to open a dialogue about longevity presents an opportunity for financial advisors to start the conversation, educate them on options and solutions, and develop a proactive and realistic approach to retirement income planning. 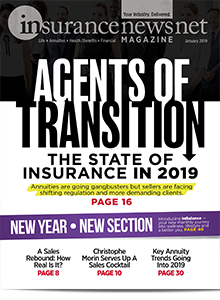 Progressive solutions in the annuities space — driven by innovations in automation, delivery and technology — are transforming the financial planning experience and amplifying the conversation about longevity. Even if consumers are hesitant to open the conversation, it is up to financial advisors to raise awareness of the imminent nature of longevity risk and ultimately close the gap between awareness and action.